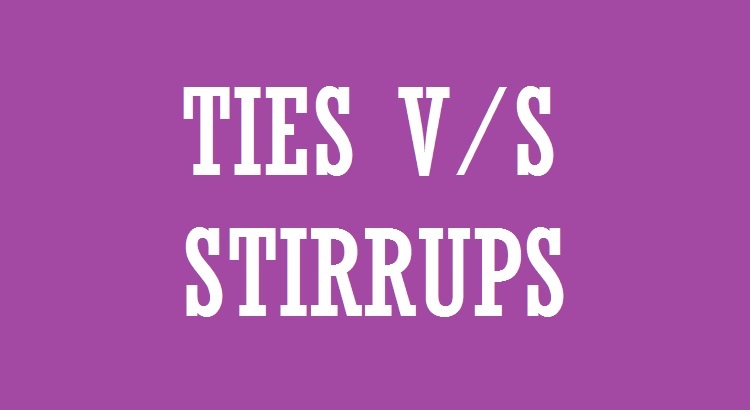 How are column ties different from beam stirrups? Even though both appear to be same physically the difference lies in their intended function. The term tie is used to define the transverse reinforcement provided in column where the primary mode of load transfer is compression. Here the requirement of transverse reinforcement is primarily to prevent the premature buckling of individual bar and to confine the concrete in core.Under static loading shear and torsion don’t generally govern their design(Diameter, Type and Spacing) but nevertheless they are checked for it. Other major reason to provide lateral reinforcement in columns is to hold the primary reinforcement in place before and during concreting. The longitudinal bars could be as long as 12 meters and would sway in random direction if they are not tied together. 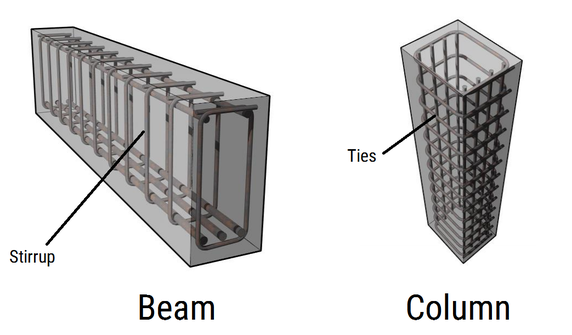 So we can say that lateral reinforcement is used to tie individual bars and thus the name ties. The term stirrups is used to define the transverse reinforcement provided in beam where the primary mode of load transfer is through bending and shear. Here the requirement of transverse reinforcement is to prevent shear cracks in the beam which could result in failure. Thus they provide additional shear strength to the concrete and are designed accordingly. What is the need of side face reinforcement in beam?